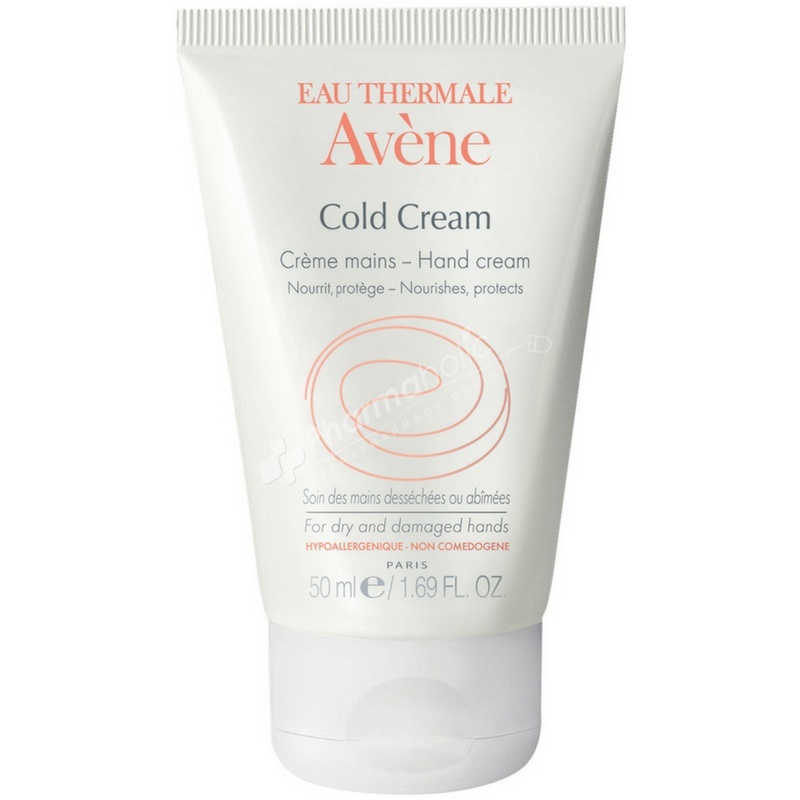 Adapted to the desiccated, damaged hands, Avène Cold Cream Hand Cream relieves the hands attacked by physical, chemical or thermal agents. They find flexibility and softness. The sucralfate contained in its formula allows obtaining a fast regeneration of tissues. In a few weeks chapped skin is repaired, skin is durably moisturised, comfortable and protected. Particularly persistent, its texture is also quickly absorbed and does not leave hands greasy. Nutritive and protective: Thanks to its high rate of Cold cream. Anti-irritating and alleviating: Thanks to its high content in Avene Thermal Spring Water. Regenerating: Thanks to the presence of sucrafalte. Moisturising: Thanks to the presence of glycerine. Use as needed. Apply a small amount to hands, gently massage well into hands concentrating on dry patches. Avene Thermal Spring Water, Caprylic/Capric Triglyceride, Isodecyl Neopentanoate, Mineral Oil (Paraffinum Liquidum), Glycol Palmitate, Isopropyl Palmitate, Glycerin, Arachidyl Alcohol, Glyceryl Stearate, Aluminum Sucrose Octasulfate, PEG 100 Stearate, Polymethyl Methacrylate, Arachidyl Glucoside, Beeswax (Cera Alba), Behenyl Alcohol, Cetyl Alcohol, Fragrance, Hydroxypropyl Guar, Phenoxyethanol, Potassium Sorbate, Water.